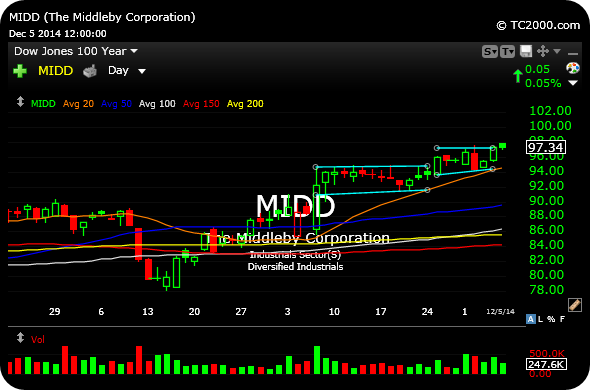 With the relative and absolute strength in many fast food and casual dining plays of late, keep an eye on The Middleby Corporation as a long idea. MIDD makes the innovative ovens for the casual and fast food firms so that you can enjoy their wholesome and nutritious dishes as economically feasibly as possible. I view a move over $98 as potentially setting in motion the next leg higher in the up-trending daily chart, seen first below. 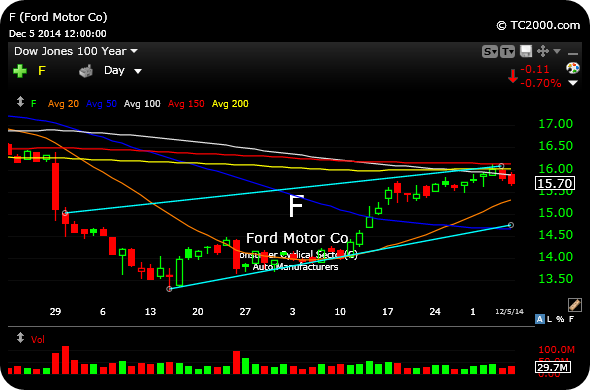 And on the short side, if Ford sees more weakness early this week I would expect a retest of the lower support trendline, below $15, within the context of a corrective daily chart, second below.